It has not taken long for Twenty20 cricket to make its mark. Since its humble beginnings in the English county divisions in 2003, the format has blossomed from an experimental curiosity into a worldwide phenomenon. Now there are big-money T20 leagues all over the globe that attract some of the world’s greatest talents, including many of those enduring fan favourites who no longer play at international level. There is also the ICC World Twenty20, where the top national sides duke it out for the right to be crowned world champions. Let us show you which online cricket bookies offer the best match odds, player specials and futures markets for T20 betting. There are literally thousands of T20 bookmakers online. Not all are equal, however, and many are downright rotten. So how do you tell the safe bookies from the dodgy ones? Our recommended cricket betting sites pass each and every one of those requirements, offering first-class sports betting products while adhering to all safety, security and integrity practices as outlined by Australian state and federal laws. Customers can enjoy great perks, including weekly specials and betting bonuses, while knowing their cash and personal details are in safe hands. Click the bookie links above to check out the deals on offer today. Leading cricket bookies run markets on all the major Twenty20 leagues worldwide. Those listed below are the most popular 20-over domestic competitions with punters. Indian Premier League – For glitz, glamour and all-round star power, IPL T20 cricket cannot be beat. It is the richest of all the domestic Twenty20 leagues, drawing top talent from all over the world. 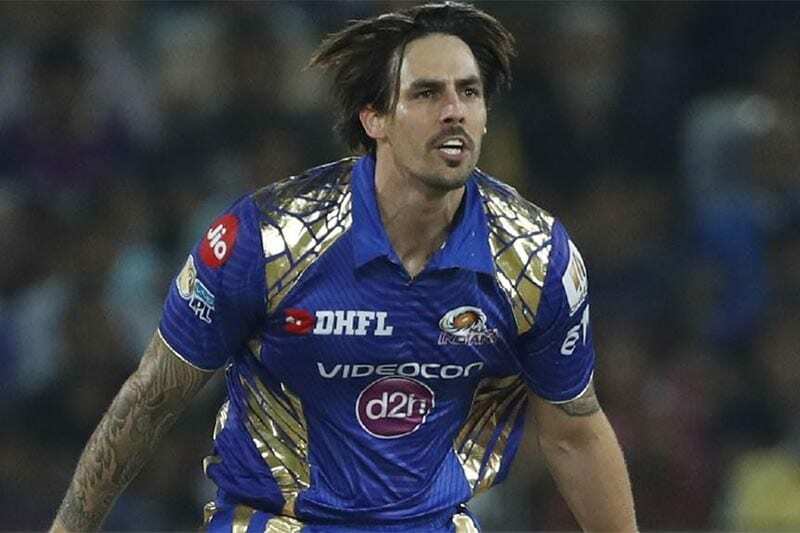 Andrew Symonds, Chris Gayle, Kevin Pietersen, Dale Steyn, Jacques Kallis, Brendon McCullum, David Warner, Dwayne Bravo and Glenn Maxwell are but a few overseas stars who have gone for big money at the IPL player auction. Big Bash League – Although Australia was slow to embrace 20-over cricket, the T20 Big Bash League is now widely regarded as the IPL’s chief rival. Perth Scorchers have dominated the eight-team competition with three titles in five final appearances since 2011-12, buoyed by veteran Aussie stars such as Brad Hogg, Mike Hussey, Mitchell Johnson and Michael Klinger. Twenty20 Cup – This is where it all started. Keen to attract younger audiences and boost match attendances, the England and Wales Cricket Board introduced the Twenty20 Cup in 2003. The rest, as they say, is history. It features all 18 clubs from the two tiers of the English County Championship and remains the world’s most comprehensive T20 domestic competition. Caribbean Premier League – If there is one place on Earth where T20 cricket was always bound to be a hit, it is the West Indies. The CPL may not boast the same depth of all-round talent as the IPL or the BBL, but it is a fertile breeding ground for classic Caribbean showmanship and a great place for emerging overseas prospects to showcase their abilities. CSA T20 Challenge – South Africa was one of the first to follow in England’s footsteps, launching the Pro20 tournament in the 2003-04 domestic season. Titans have led the way with five titles and a single runner-up finish, thanks in no small part to the efforts of star Proteas such as AB de Villiers, Faf du Plessis, Quinton de Kock, Morne Morkel and Chris Morris. Twenty20 Super Smash – New Zealand’s T20 cricket comp was founded in 2005 and features six teams: Auckland Aces, Otago Volts, Central Stags, Wellington Firebirds, Canterbury Kings and Northern Knights. It has served as a launchpad for some of the country’s top short-form talent, including household names such as Corey Anderson, Trent Boult, Mitchell McClenaghan, Colin Munro and Kane Williamson. Bangladesh Premier League – Cricket’s most up-and-coming nation also boasts a very promising Twenty20 league. Besides Shakib Al Hasan, Tamim Iqbal, Mushrafe Mortaza, Mushfiqur Rahim, Mahmudullah and many other outstanding local prospects, the competition has benefitted from heavy investment in established names from Pakistan, Sri Lanka and the West Indies. What the Cricket World Cup is to the 50-over game, the ICC World Twenty20 is to the 20-over format. It features the top national teams in the ICC rankings, including non-Test nations such as Afghanistan, Ireland, Hong Kong, Kenya, Nepal, the Netherlands, Scotland and the United Arab Emirates. The World T20 has expanded and evolved since 2007, when India defeated Pakistan in Johannesburg to claim the inaugural title. India 2016 featured 16 teams and a two-tier group phase where the eight lowest-ranked nations played off for the right to join the higher eight teams in the Super 10 round. What remains unclear is how often the tournament will take place in future. It was held every two years between 2010 and 2016, yet it appears unlikely there will be another staging until Australia 2020. A four-year circuit would bring the World T20 into line with both the 50-over World Cup and the ICC Champions Trophy. Only the West Indies have won the World Twenty20 on multiple occasions (2012, 2016). The other past winners besides India, the inaugural champs, are Pakistan (2009), England (2010) and Sri Lanka (2014). Twenty20 cricket betting is quick, easy and safe when you use trusted online bookmakers. Take a moment to sign up at one of our recommended sites, add some cash to your account and take advantage of any promotions or specials that might be on offer. Once you are registered, logged in and cashed up, you need to find the online cricket betting markets. These are accessed via the ‘Sports’ menu on the left-hand side of a bookmaker’s homepage. Some bookies will list T20s under a separate subcategory, while others will have everything lumped together under an all-encompassing ‘Cricket’ tab. From here you can navigate to specific tournaments such as the IPL, the Big Bash, or the World T20, and then click on individual matches to explore all available betting markets. You can also place long-range future bets on outright winners, group results, top runscorers and many more outcomes that may not be settled until the end of a tourney. Making a wager is easy. Click the odds to add them to your virtual bet slip, then enter your stake (i.e. how much money you wish to wager) and confirm the bet. You can create doubles, triples and multi bets in moments by adding two, three, or more wagers at a time to your bet slip.